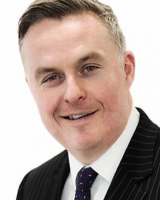 InterBay Commercial has announced rate cuts across its product line as well as the introduction of dual legal representation for bridging loans. The rate reduction for all commercial and semi-commercial products comes in at 0.25 per cent, and the lender says that it has also simplified its range, reducing the number of yield-based pricing tiers. Regarding dual legal representation, InterBay reports that it has struck a deal with panel solicitors Clarke Willmott, who will act for both lender and borrower on bridging loans of up to £2m. This, says the lender, which is part of the OneSavings Bank group, will provide a faster, more efficient, and more cost-effective access to finance. Clarke Willmott LLP partner Peter Swinburn adds: “We have worked hard to ensure our offering remains as competitively priced and efficient as our service delivery when acting solely for InterBay.